[post_content] => Underwriters Laboratories (UL) wants to get credible sustainability data into Revit models more easily. To do so, UL recently launched a web-based product, sustainability-information tool that will help users select credible green products and place that information into their Building Information Modeling (BIM) workflow. The web app--called SPOT--features more than 40,000 products. SPOT’s database will help architects and designers identify products by sustainable attributes, MasterFormat product codes and building rating system credits such as LEED v4 and the WELL Building Standard™. SPOT database goes beyond traditional green certification data to include a comprehensive view of a product’s attributes through expanded product listings. The expanded listings will also include safety data, such as fire ratings and, for furniture, performance certifications and claim verifications. This data will be curated and managed by UL to give users confidence that the data is from reliable, credible sources. To enhance the mobile experience, UL’s SPOT app is available from the Apple App Store and Google Play. Additionally, UL is developing an add-in which will enable AutoDesk® Revit® users to access product data from SPOT and assign it directly to their project. To learn more about SPOT, visit ul.com/spot. [post_content] => Sweets.com puts the “I” in your Building Information Models (BIM) with a new Revit plugin that automatically tags product data. At Autodesk University 2016 Sweets.com showcased their new Revit plugin on the showroom floor. Users can tag product data into their Revit design models. It’s saves Revit user huge amounts of time. 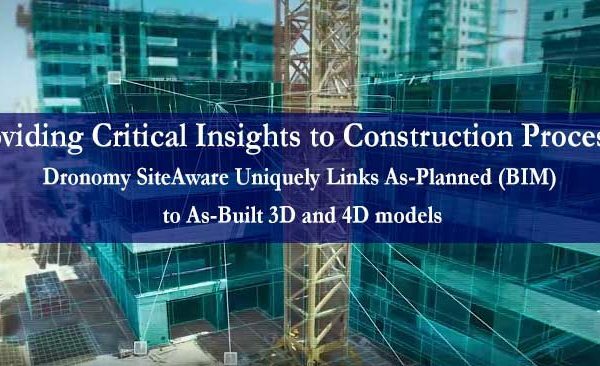 Usually designers or architects must manually type the data in or they would go out and search the Internet for manufactured specific BIM content and bring that into their design model. “The product tagging technology allows them to select product data and automatically write that data in with a single click,” Jackson said. 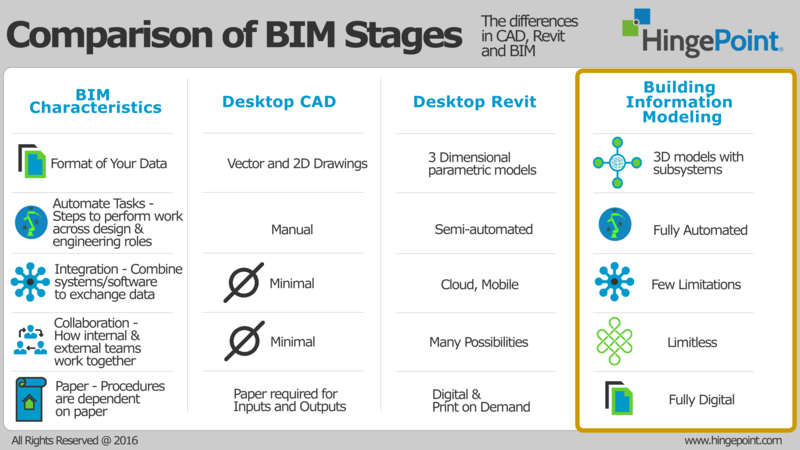 As much as Revit and Autodesk technology is praised, the software has created an abundant amount of manual work in the architecture, engineering and construction industry. Startups and entrepreneurs are starting to fix this problem. Sweets.com hopes to alleviate the manual task of tagging things like, doors, windows and other key product data. The Sweets.com app is available in the Autodesk App Store for free. HingePoint provides AutoDesk, BIM and Revit consulting & services for the AEC industry with development & integration of AutoDesk products with enterprise systems. As members of the AutoDesk Development Network, we are a trusted partner with over 25 years experience of systems development and integration work in the AEC industry. We support development of Autodesk products including AutoCAD, Revit, M, BIM360 and are experts in integrating with enterprise systems including Salesforce, SharePoint & Office365. Our clients range from top hotel brands and restaurant chains to AEC firms and real estate developers and Facilities Management. We provide BIM with ROI. Results Guaranteed…Literally Guaranteed. [post_content] => Denver architect Brian Juge and BIM specialist Tony Crawford led one of the first classes at Autodesk University called "Zero to CD in 90 minutes with Revit." They started the presentation with tips on how to use Revit for beginners. Here are some of those tips. As the construction process goes along it's harder to make changes and it gets more expensive, as seen by the popular graph above. Shifting your time and effort “to the left” sooner in your design process, can save time on each project. One of the primary ways to do this is through Revit templates. The exact tools that you include in your template will depend on your specific needs. Revit makes this possible with templates because redundant work from project to project is limited. If you have a good template, you save time, meaning you reduce effort and costs. Juge and Crawford have invested a lot of time on their templates. The more time you put into setting up your project template, the more time you can save on each future project. The plan (top) and elevation (side) view of your model. Any schedules you repeat you can put in a Revit template. Any type of workflow you do for every project, you should put into a template. A schedule is basically a spreadsheet of your data. For example, you could have a schedule or the data of every door in your building. If you're starting a new similar project, you can either start from scratch and build the data needed for doors, or you can have a template with the saved data. Anything that you might repeat in any future project should be added to your template. You've got to go through this step. You have to tag all your elements and make every item unique. It takes time. But if you don't do it you might as well just use AutoCAD. Be careful. This is not a best practice. You don't want to have too many AutoCAD links. AutoCAD files can have a lot of baggage in them and potentially crash Revit. Sometimes it's inevitable to have AutoCAD links, but it's better to get rid of AutoCAD links completely. Just get started. Just do a project. Hunker down. Bite the bullet and get going. A good place to start is with your last project. Just get it in Revit so you can start making your templates. Check out HingePoint's Revit eBooks to learn more. [post_content] => HingePoint's BOM to Excel for Revit app was recently reviewed on a blog in France. We translated it below for you. The original story was posted here. The Autodesk App Store offers a lot of useful Revit applications. In this article I will list all the applications that I have found useful and will indicate why. The first application that caught my attention is the implementation parameter explorer Hot Gear Project, which offers nice features in terms of handling the elements parameters. This application will allow you to filter your selections based on elements of settings and change the element parameters filtered group. Two very interesting operations are possible with this application, it is particularly intercommunication between this application and excel, especially the visualization of your project by coloring the surface of the elements according to parameters. Look at the example below Example quite telling. This application will allow first filter and select items by choosing to handle their instance parameter or type parameter: the field can increase on Revit. Other features are offered by this application, including the handling of join between walls and all the functions that used to group sets of elements. The app store Autodesk offers a number of interesting applications that extend the capabilities of Revit. I suggest you find one developed by Bimcoder, which are quite helpful and make the use of REVIT easier in some aspects. There is first the application Auto Floors Builder, which automatically generate tiles and flooring by taking limits as beams and columns. It's a pretty useful application and not save some time for the representation of floors at different levels. Bimcoder also developed an application that meets all the right features for intercommunication between REVIT and Excel, it is the application: ScheduleSync Pro. As the name suggests, the nomenclature are exploitable with this application in Excel. Another useful application is Curtain Modeler, this application makes the implementation of curtain wall much more intuitive. Two Application for REVIT MEP exist and have some utility, first Align Duct, and allows on relives map align the pipe without much effort from their oubien axis relative to their external generator, and on the other hand the application auto-insulation creator, which enables to apply to pipelines of fast and mass insulation sheaths. A last application that is called switch next order which is quite useful for defining forms of connection, especially between pole / beam / slab. In addition to the applications developed within the app store Autodesk, bimcoder demonstrate detailed understanding of specific development Revit, and work of reference clients. To discover applications, visit the site app store Autodesk their section. BOM to Excel is an application that will automatically create material lists from your Revit models and exports and formats BOMs reports, estimates and statements of quantities to Excel. Finally, you can add cost parameters in Revit and get estimates and quotes, snapshots and costs. BOM to Excel is full of small features that allow you to operate both powerful and Excel like grouping paintings by elements of property. BOM to Excel is advisable, and HingePoint have a future. To download BOM to Excel, we must go to the application page on the app store. APPS OF THE DZ Studio! Revision Cloud Manager is a great application to generate a chart the history list of changes that have been identified by revision clouds. Better than that, it can manage in a table the review comments. This is an application to put order in your revision history. This application allows you to therefore create a schedule that is not natively offered on Revit and especially the export to excel. DZ studio also offers other applications as "User Editing History" which allows for example to be able to list the history of your operations. This application allows also to perform such operations filtering on your history. On the space for DZ studio on the app store Revit you will be able to download test versions and also offers free applications such application "End User Wizard". DZ Studio applications are the work of a designer architecture, a high sensitivity to architectural formal language and polymorphisms. This is a tool that allows you to export your model REVIT to view it with any compatible browser WebGL, without additional software installation. The result is stunning, because it allows you to navigate your model in a web browser like firefox. Export creates a file mpm (WebGL-Publisher Model) and an html file that displays the exported model. The tool is developed by German specialists top flight cad and webgl: CADMAI Software GmbH. Their applications are available on the app store REVIT their dedicated page. Assigning costs to the elements of your models. Create global costs such as rental rates. Generate a notion of performance such as the ratio of cost of construction and sale price. Are in this application adds functionality to Revit mainly on the concepts of construction costs and efficiency. It is a subscription. The interface is user friendly and presents visually speaking graphs. You can find it on the website of the app store of Autodesk. Omnia REVIT is the name under which Thorbjorn Hoverberg publishes REVIT applications. Thorbjorn Hoverberg is an architect / Swedish engineer who has developed successful applications of 3 REVIT is also Certified Professional Revit 2013/2014 and 2015. The 3 applications Scope Box Purge, Scope Box synchronizer and Scope Box Reorder. They are available on the app store REVIT. Scope Box Synchronizer: This is an application that lets you import definition of areas selected from a Revit project linked to your project, and to compare these areas with those you have in your project. . Similar to the functionality integrated Copy / Monitor, but in areas of definition link revives. Scope Box Reorder: After creating defining areas this application allows to schedule the selectionnées instances. You will have the opportunity you will have the opportunity through pop define scheduling menu (alphabetical, numerical etc ...). Here is a tutorial about this application. Scope Box Purge: Finally in the proposed trio, an application to remove the areas of definitions that will not be used. Printing on REVIT is even easier thanks to QUICK PRINT AVATAR developed by BIM, BIM superb specialist team based at the 4 corners of the world! This application allows you to print views without using the sheet layout, and can record the default print settings. - Printing in 1 click. - File suits to print. While printing capabilities are natively on REVIT proposed well, this application increases the ergonomics of the print, or the point you can really print in 1 click. This application is present in the app store saw. Moreover AVATAR BIM are recognized as BIM experts, and among their clients they even companies with strong competence BIM. This application is a useful tool to prevent you from spending much time searching for files REVIT. This app allows you with one click to list all extension .rvt file, then choose the one you want. Nothing like a video explanation of this application. Here is the link to the application on the app store Autodesk.